More comfortable. Less noticeable. Better convenience for all smiles. Do you or your teenager want a straight smile, but don’t want to deal with the hassle of traditional braces? 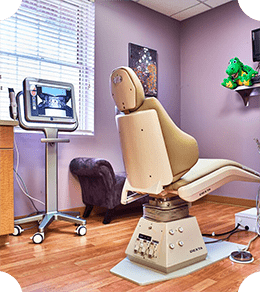 You’re a busy parent, and we ultimately understand you need orthodontic treatment that will fit within your lifestyle, not the other way around. That’s where Invisalign comes in. Invisalign involves a series of clear, customized aligners gradually and comfortably shifting your teeth to their appropriate positions. 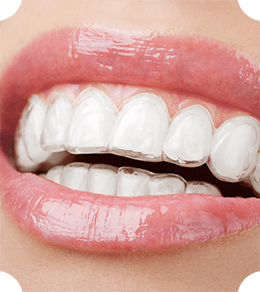 Helping more than five million people smile, Invisalign is the premier choice for orthodontics for the many conveniences it offers, including it being less noticeable, more comfortable, and more hygienic. Why Are People Choosing Invisalign? With removable aligners, fewer appointments, and amazing results, what's not to love? These comfortable aligners are practically invisible. Hardly anyone will know you’re receiving orthodontic treatment, allowing you to smile with confidence. 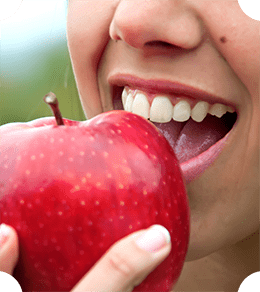 Since the aligners are removable, you can eat and drink whatever you like. Also, you can brush and floss with ease without cumbersome brackets and wires getting in the way. As long as you wear your aligners consistently (about 20 or more hours every day), you may only need to visit our office every 11 weeks for a check-up, as opposed to every 6 weeks. Depending on your case, treatment could take up to 6-24 months to complete. However, you’ll start seeing results almost immediately because of the clear aligners, creating more excitement for the final results. When you choose Chatham Orthodontics, we offer even more conveniences to make the Invisalign process worthwhile. Dr. Barbara Fodero is an “evidence-based” orthodontist at Chatham Orthodontics. This means she takes the time to research to ensure any new services are proven to work. She’s been using Invisalign since 2000 and continuously attends Invisalign courses to stay on top of the latest trends. 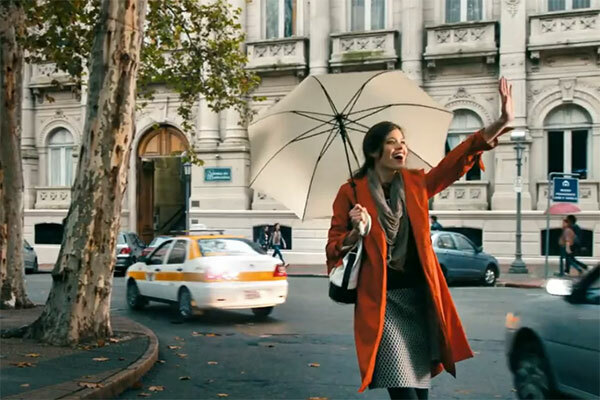 A straight smile improves confidence and oral health for many patients, but Dr. Fodero has used Invisalign to correct bite problems that conventional braces couldn’t have corrected. These are bite problems that would have required invasive jaw surgery to correct. We have the iTero Scanner, eliminating the need for goopy impressions and creating more accurate results. This scanner takes digital impressions of your smile, improving aligner fit and comfort. Because it’s digital, turn around time for making aligners is faster, so you can start treatment sooner. We can reduce your treatment time with Propel Orthodontics and the V Pro 5. This modern technology uses gentle forces to accelerate tooth movement. Learn more about Propel Orthodontics and talk to us for more details! Now that I'm retired, I'm perfecting my smile and thanks to Dr. Fodero, my experience is amazing! I'm loving the Invisalign process and each of my appointments. The staff is professional and caring and always prompt - hardly any time to read an article in the waiting room! Keep up the fantastic work. You all obviously do what you love and love what you do! Available for any busy parent and teenager! The peace of mind to switch to conventional braces if Invisalign is not working in six months. Have questions about Invisalign Teen? Keep scrolling down to consult our FAQs! Isn't Invisalign Teen more expensive than metal braces? It’s slightly more than conventional braces and the same as clear braces. Talk to us how we can make Invisalign Teen work for your budget. Won't food get trapped underneath my teen's aligners? Studies show Invisalign is more hygienic than conventional braces. In reality, food is more likely to get trapped in braces. Also, the chance of getting cavities or white spots on the teeth is significantly less than conventional braces. What happens if my teenager loses the aligner? It’s okay. 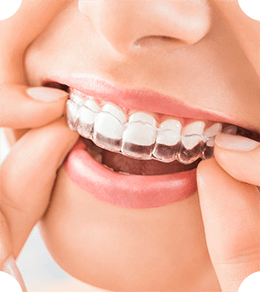 Your teenager is given six replacement aligners at no additional cost and often times this is not needed as we will have them advance to the next aligner and just wear it an additional week. Won't they forget to wear it? Believe it or not, studies show they are better than adults when it comes to compliance with Invisalign. Their environment with school structure and less independence, compared to adults, makes them better at following instructions. Further, we guarantee that if it’s not working in 6 months, we will switch to conventional braces at no additional fee. When teenagers know that braces will go on if they don’t comply, it actually motivates them to comply! An orthodontist can’t threaten an adult with that! What can I expect with the Invisalign process? Patients will be expected to wear their aligners 20 hours or more every day. They can eat and drink with them in (except really hot foods and beverages). They can be removed to eat. Patients are given approximately 8 to 12 aligners at each appointment and instructed to wear them 1-2 weeks before switching. Patients will usually experience mild discomfort the first day or two after changing aligners. Discomfort can be reduced by taking Tylenol. After teeth are aligned, the patient is given a set of retainers to hold their correction. Invisalign and Invisalign Teen are slightly more than braces. However, the cost will go down with increased competition from other brands. We ask patients to call the office and we will advise them what to do. Typically, we have the patient advance to the next aligner and just wear it a little longer. It takes the same amount of time as braces, and in some cases faster, if the patient is compliant. Will I lose weight with these? Invisalign does curb snacking and may help you lose weight, but when it comes down to it, it’s about portion control! Minimally. This is usually resolved after a few days of first starting treatment. What if I have a work presentation or an event, where they will be out for an extended period of time? You may need to wear them a day or two longer than what was originally prescribed so they fit well before you advance to the next set. The use of a V Pro 5 device for 5 minutes a day can help counter lapses in time by helping the aligner fit better. Won't food get trapped underneath them? We recommend brushing after eating or using sugarless gum to remove food debris before putting aligners back in. In a pinch, rinsing well with water until you can brush your teeth is all that is needed. In fact, braces with wires and brackets trap more food than aligners. Call us to schedule an Invisalign consultation!